Intonation Band Members learn to play ALL of the rock band instruments under the guidance of talented teaching artists. 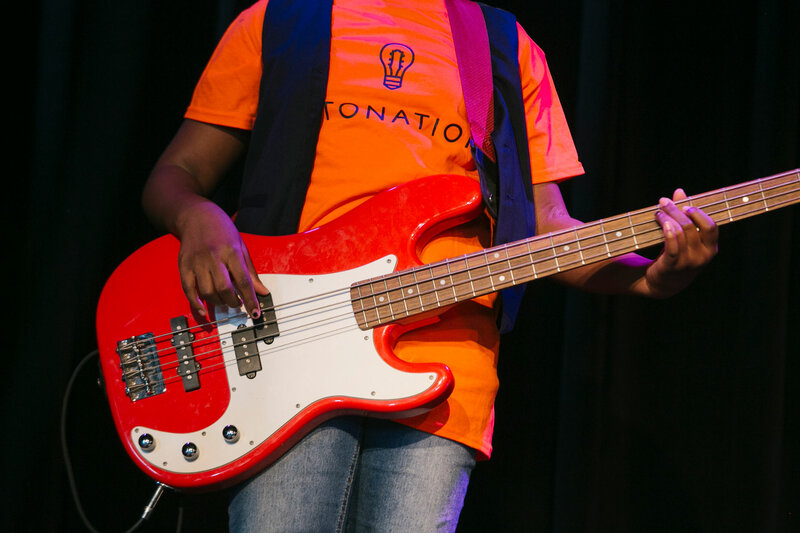 As they move through our innovative curriculum which is aligned with national and state music learning standards, students learn skills and concepts which lay a foundation for lifelong music exploration. Last school year 94% of students assessed gained basic proficiency on not just 1 but all of the rock band instruments. 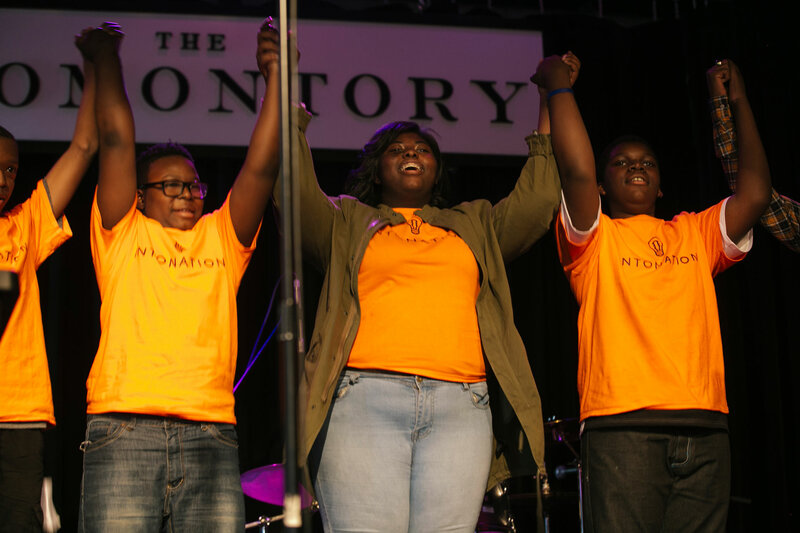 Beyond music skills, our highest goal for students is to take part in a personal and team approach to practice, setting goals, and problem solving, so that over time they build the confidence to seek out new experiences and take ownership of their direction.